First of all, trans-fatty acids promote cell death. And trans-fatty acids will damage your heart in a more direct manner. And in addition, this will lead to the development of atherosclerosis. Atherosclerosis will cause heart attacks and strokes. Furthermore, ingesting trans-fatty acids is a dangerous game and will put a real strain on your heart. 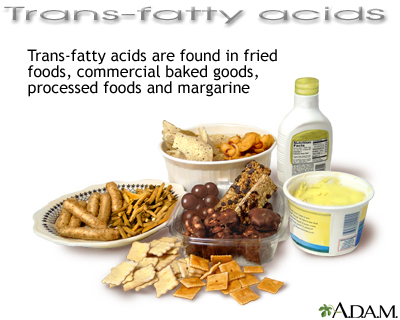 Trans-fatty acids are unsaturated fatty acids. Consequently, they are produced as by-products especially relevant during food manufacturing. The consumption of trans-fatty acids is a dangerous game. Trans fats cause atherosclerosis. Atherosclerosis is an inflammatory disease. It produces plaque and clogs arteries. 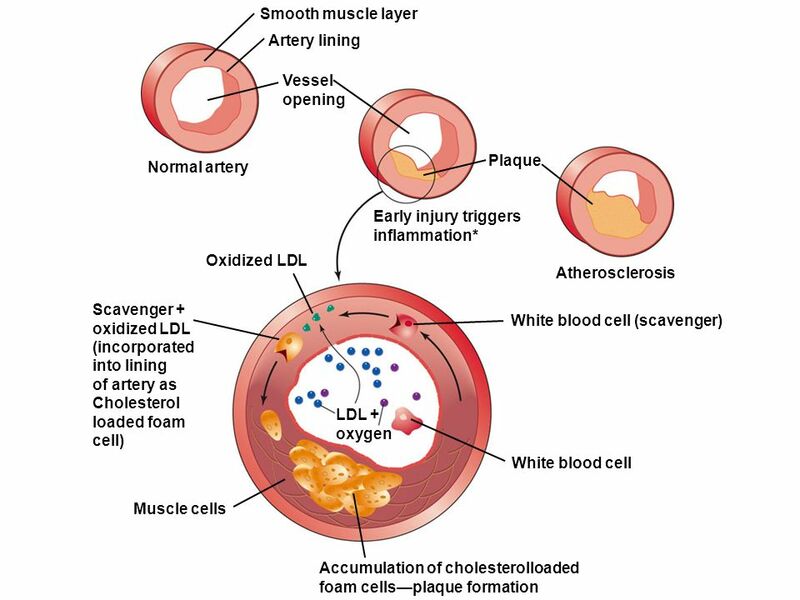 Atherosclerosis is a major cause of cardiovascular diseases. Trans-fatty acids cause heart attacks and strokes. You do not want atherosclerosis. Atherosclerosis is bad news. Furthermore, as atherosclerosis develops, white blood cells turn into macrophages. Macrophages are immune cells. These immune cells destroy harmful substances in the body. The macrophages therefore become foam cells. The foam cells form plaques and cause inflammation. When macrophages die, they release pro-inflammatory molecules. And this includes ‘extracellular ATP. Extracellular ATP enhances inflammation and as a result, advances the disease. The cell death is the killer. Consequently, we know there is a link between the consumption of trans-fatty acids and the development of atherosclerosis. But the mechanism behind this remains unknown. Finally a previous study reported extracellular ATP activates a certain molecule. This molecule generates reactive oxygen species. And reactive oxygen species triggers an ASK1 kinase involved in the cell death process. 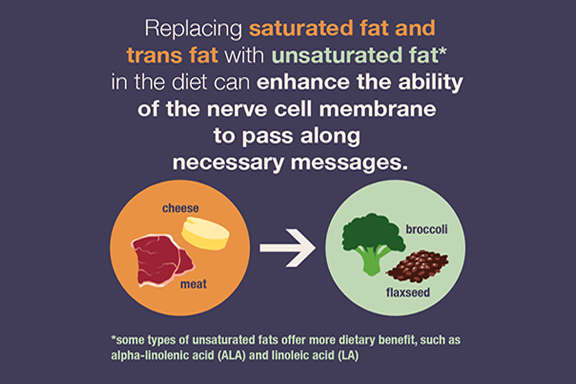 This means that trans-fatty acids will accelerate the cell death process. And it does this by generating more reactive oxygen species which is most noteworthy. The reactive oxygen species will help the cell death process. The cell death process happens in a much more direct way. And in addition, trans-fatty acid will cause cell death by enhancing extracellular ATP. This directly activates the ASK1 kinase. And it activates another kinase called CaMKII. Therefore the kinase will increase the reactive oxygen species. Consequently, there are more fatty-acid derivatives. The trans-fatty acid types are elaidic acid, linoelaidic acid and trans-vaccenic acid. These derivatives stimulate cell death. But they cannot destroy the corresponding omega-3 fatty acids. Hence, being naturally occurring unsaturated fatty acids with health benefits. The harmful trans-fatty acid is made from the omega-fatty acids. And they go through a hydrogenation process used by the food industry. These findings provide an insight into the way that the disorders are caused by consuming trans-fatty acids. And this will help in treating the disease. In conclusion, more investigation is needed on how trans-fatty acids lead to the development of atherosclerosis and cardiovascular diseases. I can’t stress this enough. Stay away from trans-fatty acids. Atherosclerosis is a serious condition. The cell death is a sign of a bad diet. While you are cleaning up your Diet, try our Belly Fat Burners and take your Diet to the next Level! Just hit a Link for the Catalog!